I was surprised. Actually, I was dismayed to see US Ambassador to Hungary Colleen Bell delivering remarks at the statue unveiling of the Budapest Lad when on Sunday October 16, the sculpture was inaugurated to commemorate the 1956 Hungarian Revolution. 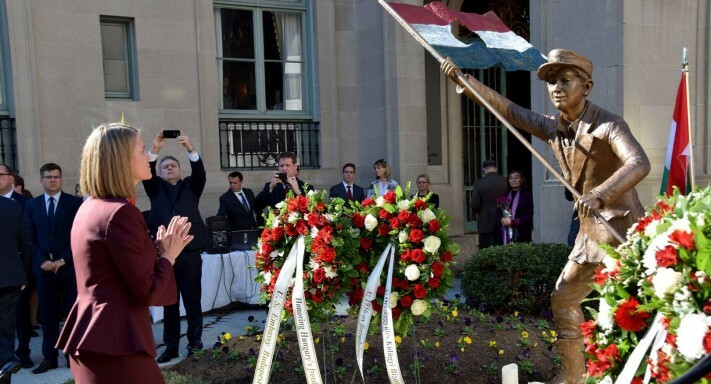 The unveiling took place in Scott’s Circle at 1500 Rhode Island Ave, NW, Washington DC on the grounds of the new embassy building. Hungarian Minister Mr. Miklós Seszták spoke: “This statue symbolizes the common desires and principles that always bonded or countries and nations together.” Mr. Zsolt Németh, Chairman of the Foreign Affairs Committee of the Hungarian Parliament and János Horváth, former member of the Parliament were also present. 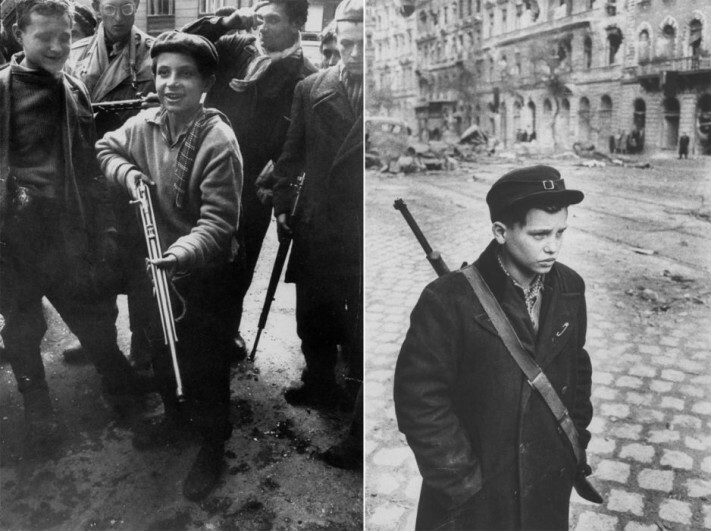 These child soldiers were not “typical Hungarian students.” The so-called “Lads of Pest” (Pesti Srácok) were mainly teenagers who carried weapons, Molotov cocktails and fought the well-trained professional Soviet Army in 1956. Some teenagers even served as commanders of armed units! Many were either killed in combat or executed during subsequent reprisals. 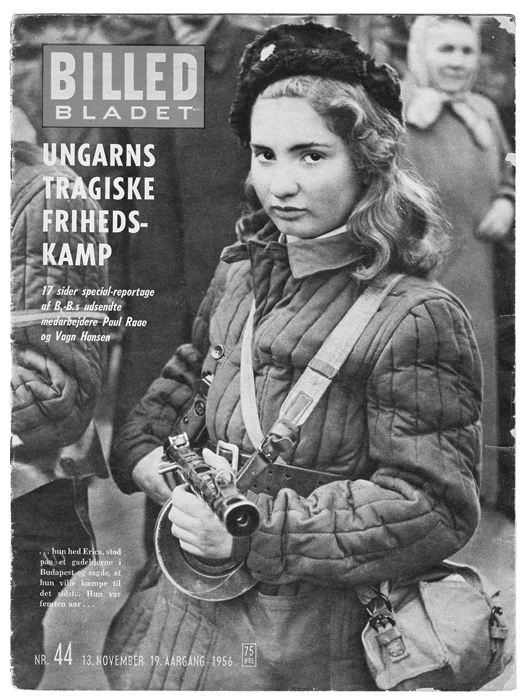 Danish journal Billed Bladet published a photo 15-year-old Erika Szenes posing with a sub-machine gun. The red-hair freckled girl in cotton-wool coat was an orphan and studied to become a cook. Her boyfriend talked her into joining the fighters and died a couple of days after the photo was taken. She was shot in the neck. Over eighty percent of “Corvinists” (Corvin köz fighters) were below the age of twenty. “These children achieved victory for the Revolution with their fighting and became heroes of the nation; we will not deprive these children of their weapons”, Gergely Pongrátz, the commander-in-chief believed to have said this to Pál Maléter, the Minister of Defense at that time. Who would give weapons to children as young as twelve to fight? Who would encourage little girls to crawl under Soviet tanks with Molotov cocktails and blow them up? Péter Mansfeld is perhaps the best-known child soldier. He was 15 when he joined the fighters and two years later he attempted to organize an armed group to free his older comrades from jail. He was under 18 years of age, the legal limit of imposing the death penalty at the time. The Kádár-regime executed him shortly after he turned 18, on 21 March 1959. True insanity. Mansfeld, today is celebrated as the “martyr of the Hungarian Revolution.” Was he a martyr, or a misled teenager who was talked into organize an armed group? I find the cult of the Budapest Lad disturbing. No responsible person would give weapons to an unprepared 15 year-old to fight a professional army. These children were victims of horrific reprisals but also the victims of their own revolutionary leaders and comrades. It is stomach churning to listen to speeches about the “heroism” of the children. If they had survived many of them today would be not much older than me. You are wrong, never had any bond between the two countries. I don’t know where you get those ideas, definitely not from Budapest. In 1956, my husband was a student fighting the streets of Budapest trying to kill few Russians. Had to escape the country, a shame. America was too busy at that with the Suez Canal. After all, Hungary has beautiful “Heren porcelain,” the US couldn’t care less, not much to grab. They follow the same pattern today and all over the world. A bunch of ignorant politicians on foreign policies. Notably the Hungarian army soldiers did not fight as the army disintegrated, nor did the policemen. The Soviet army soldiers were drafted not professional, but the officers were highly experienced after the war. The little spontaneous armed groups were quickly wiped out by heavy weapons fire, as the Soviet army did not want to suffer casualties. 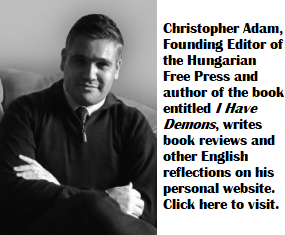 The revolution had 2500 or so victims, reprisals included, almost all of them in Budapest. (In comparison, the well organized Warsaw uprising in 1944 costed the Germans 8000 kia and the Poles suffered over 200 000 dead, civilians included). Mass demonstration, riots or revolution attract various elements, but predominantly youngsters. Mr. Lazar, I find your comments on our young heroes very disturbing. Since you can’t understand how someone young or old could put their lives on the line for liberty, stay in the US with your liberal pals and don’t contaminate Hungary with your visits! After the collapse of the Soviet Union, Francis Fukuyama pronounced the “end of history” when it seemed that the world was moving toward a consensus on the establishment of liberal, democratic, constitutional governments. Twenty-five years later, the number of liberal constitutional democracies is steadily declining, as states increasingly reject constitutionalism in liberal form. Instead, backsliding states are developing a new set of legal tools to maintain the façade of democracy and constitutionalism, while hollowing out the liberal content. The lecture will examine Hungary, Poland, Russia, Turkey, Venezuela and Ecuador as models of the new illiberal constitutionalism. In each case, strongman leaders have been elected in (more or less) free and fair elections and then they pull up the ladder of succession after themselves, concentrating power in few hands, disabling the opposition, and removing the independence of any institution that could provide checks. They modify or replace constitutions while turning their new forms of constitutionalism into the production of “worst practices.” This lecture shows why liberal constitutionalists have been losing the battle for hearts and minds of angry publics and proposes the standard of “self-sustaining democracy” to spearhead the normative critique of these new regimes. Kim Lane Scheppele is the Laurance S. Rockefeller Professor of Sociology and International Affairs in the Woodrow Wilson School and the University Center for Human Values at Princeton University. Scheppele’s work focuses on the intersection of constitutional and international law, particularly in constitutional systems under stress. After 1989, Scheppele studied the emergence of constitutional law in Hungary and Russia, living in both places for extended periods. After 9/11, Scheppele researched the effects of the international “war on terror” on constitutional protections around the world. Her many publications on both post-1989 constitutional transitions and on post-9/11 constitutional challenges have appeared in law reviews, social science journals and multiple languages. In the last two years, she has been a public commentator on the transformation of Hungary from a constitutional-democratic state to one that risks breaching constitutional principles of the European Union.